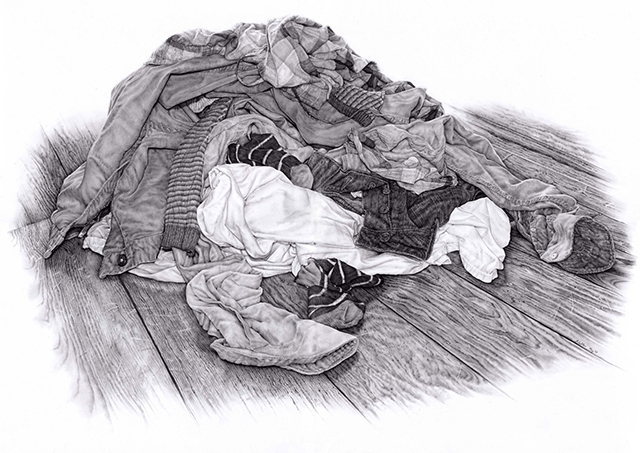 Gillian Cullen is a fine artist and illustrator from County Louth, mostly specialising in detailed pencil drawings. Gillian draws inspiration from all elements of nature. This love of nature is a recurrent theme in her work, being both influenced by her deep found respect for the natural environment and through her scientific background as a graduate of Trinity College, Dublin, in Environmental Science. Gillian’s eye for detail enables her to create intricate pieces that draw the viewer in. This detail is evident in all aspects of her artwork, from her commissioned portraits to her botanical watercolours. Gillian has also created many illustrated works for a number of publications. These include cover images for children’s books, illustrations for educational material and CD cover illustrations. She has taken part in numerous exhibitions, including the annual exhibitions in the Royal Hibernian Academy, Dublin, and the Royal Ulster academy, Belfast. In 2016 she was awarded the Prize for Drawing and the Rowel Friers prize, by the Royal Ulster Academy. Washing by Gillian Cullen is included in the collection of the Arts Council of Northern Ireland. Visit www.gillycullen.com for further information about Gillian’s work.